Shaving manually was my primary way to shave as I was growing up. I remember trying out an electric razor many years ago and hated it, because the shave was lousy and I ended up with skin irritation. I switched back to manual razors for a while with a regret towards electric razors. I thought the concept was great, but technology in those days was not good enough to compete with manual razors in aspects such as closeness of shave. Today, on the other hand, I’m very fond of electric razors. I think they evolved a lot over the years and are now some of the finest shaving tools there exist. The Braun 550cc electric razor has many features of the Series 7 razors from Braun, but you get it about $100 less than the Series 7. As with every electric razor I’ve used over time, I gave it about 3 weeks, so my skin could adapt to this new machine. I will break down my review into 3 areas: shave, design and cleaning function. I’m pretty happy with the job this shaver does. I can say it’s pretty close on the face but I noticed it will not do the best job along your jaw line and your neck. There’s a chance you’ll need to insist on certain areas of your face, which in turn increases the risk of skin irritation. You might experience irritation or you might not. I did, a bit, but nothing that will last a long time or be unbearable. It has a nice design and will feel and fit nicely in your hand. Features are easily accessible, such as the long hair trimmer which is positioned on the back of the razor. It has an advantage from an accessibility point of view over the more pricey 7 Series, which has several featured redesigned, but not necessarily more user friendly. The razor also features a display that will tell you battery related information. It’s smaller that that of the 7 Series, and less sophisticated, but ultimately you’ll have the basic information needed. The cleaning station is pretty good. You just have to put your razor into the cleaning station, press a button and the system will take care of cleaning and lubricating. The downside is that your razor has to air dry, so you won’t be able to use it right away. It’s not a problem for me, usually, as many hours pass until my next shave. I rated the Braun 550cc 3 stars, because I have sensitive skin and hardly accept any sign of skin irritation. I would have rated it 4 stars if the shave would have been 100% irritation free. I have a Braun 390CC-4 which I like, but am finding the replacement heads hard to find. I would like to know if the 550CC would be an upgrade or should continue to search for the 390 heads? You can find replacement heads for your 390CC on Amazon, which would be the more cost-efficient solution of the two. 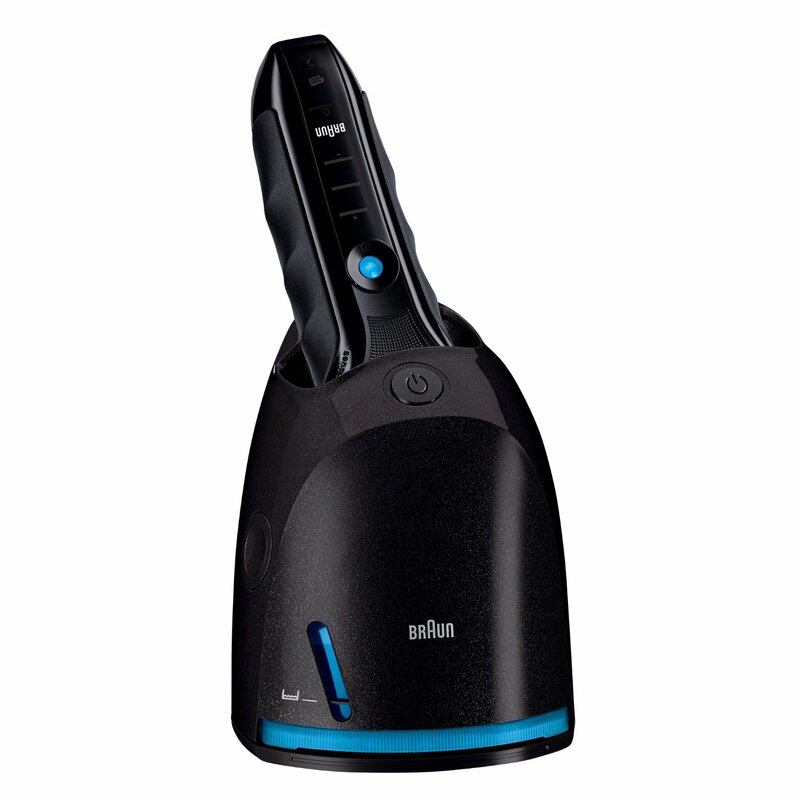 If you like Braun’s foil shaving system, but are looking for an upgrade, I suggest you check out the 790CC.